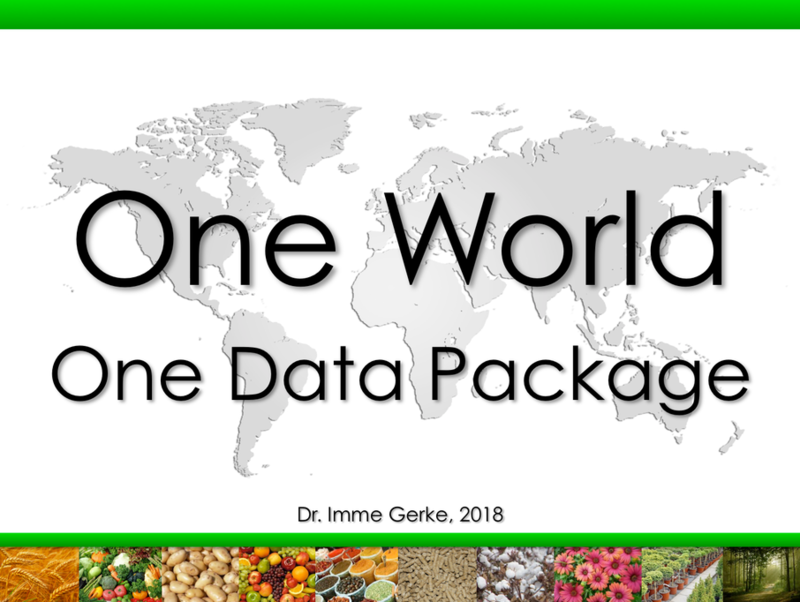 Global Harmonization of the use of plant protection products for all crops and countries is paramount to achieving the Sustainable Development Goal of adequately feeding the world population today and tomorrow. Today, we grow crops worldwide and have developed standards of what harvested crops should look like, what they provide in nutritional content and how well we can store them. Farmers are the people who have to deliver according to these standards. Therefore, they use plant protection products that are expected to protect the crops from pre- and post-harvest damages from insects, diseases and weeds. A product that a farmer can use has to be approved for use in the farmer's country and has to be approved as residue in the importing country. The more importing countries a farmer or food processor tries to reach the more difficult it becomes to find a product that is approved in all producing and importing countries. When a shipment of a crop reaches the border of an importing country, border officers take samples and have them analyzed for residues. If these residues are not yet approved in this country, the shipment can not be unloaded. It is then either diverted to another country or it is dumped into the ocean. In both cases the producing farmer will not receive any revenues and in the second case precious food will be lost. We therefore need to harmonize the use of plant protection products worldwide. In 1993, the OECD began the development of all tools and guidelines that allow companies and governments to operate as if there were no political borders. With these tools companies can strop trying to build 200 separate data packages individually for each regulatory body and can instead build ONE data package for the world. That means all regulators receive the same data package and can then either cooperate in the review or can at least communicate so that their regulatory decisions can be identical or compatible.